What goes around comes around, and this cliche certainly applies to the fashion realm. Full skirts are making their way back to sales racks around the globe for spring 2011, and this dainty, lady-like trend can be enjoyed by virtually anyone. Petite: Petite framed ladies may raise their eyebrows at the thought of embracing the full skirt this season. Be at ease, dear petite framed women. Just be mindful of the skirt's length. Shun a dowdy and homely appearance by selecting knee length skirts. Avoid excessive prints; large patterns will swallow you whole. Curvy: If you have a curvy apple shape a full skirt can provide a balance to the top half of your body. Another suggestion is to opt for full skirts that have side or back zippers; front zippers will provide unnecessary attention to your midsection. Pear shaped curves will want a solid full skirt and a funky, fun top on the upper half of your body. If you identify with a curvy hour glass figure you can play with the length of your full skirt. For you, full skirts are best worn with a curve enhancing top. A form fitting top also accentuates a smaller waist. 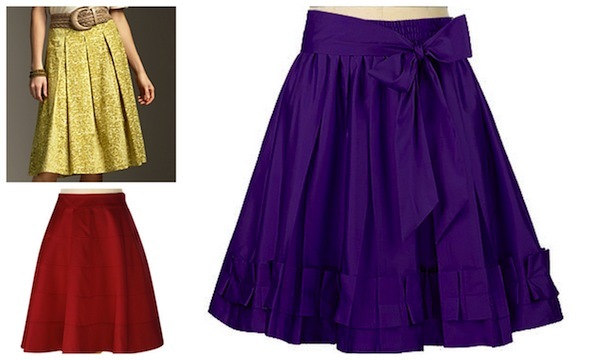 Slender: Slender ladies can create a fuller frame by opting to wear--a full skirt! It's all about the details. Amp up the volume by selecting overtly full and tiered skirts. Add curves by cinching a belt around your waist. 1. Search Etsy for vintage full skirts. 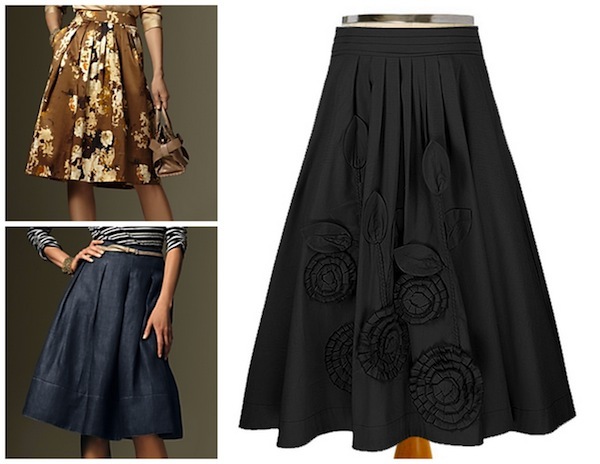 Vintage skirts have playful prints and eccentric details. Plus, you don't have to worry about running into someone else with the same skirt. 2. Head to a second hand store and pick up a gently used full skirt instead. 3. Find a floor length full skirt and take it to a tailor to be hemmed according to your measurements. Shey of Modesty is Pretty has several DIY blog posts that will get you inspired. What's your perspective on the full skirt trend? No or Go? I’m Chandra and I teach 20 second grade students by day, and am a blogging and social networking machine by night. I blog about modest fashion on MoMoMod—More Modern Modesty. My perspective on the full skirt trend is a Go, Go, GO... I am so in love with skirts 2, 3, and 5. All the skirts are so girly and classy! Andrea, that is one reason why I intend to embrace the full skirt: girly and classy. I love vintage and vintage inspired pieces. With the full skirt I can have the best of both worlds. This is a great post! 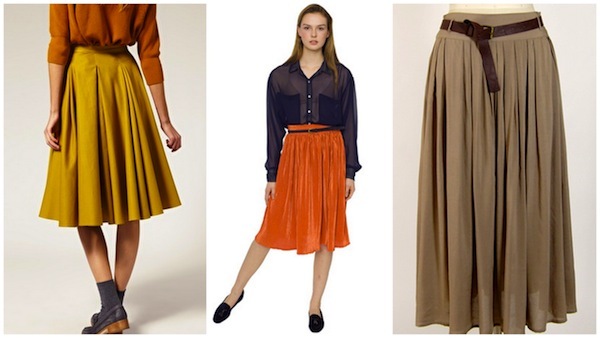 I love some of the skirts, especially the mustard one near the bottom. Yay for full, spring-y skirts! I love a full skirt! You have inspired me to pull them from the back of the closet! Skirts can be tricky for me because I'm so narrow on the bottom. I love skirts but I have to try on several to get the right fit. Great post Chandra! Taking a break from fashion to celebrate LOVE!